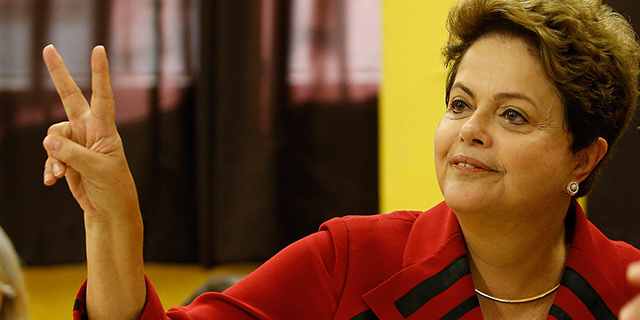 The narrow re-election Sunday of Brazilian President Dilma Rousseff maintained the recent record of South American nations when it comes to returning presidential incumbents to office. Indeed, in recent decades, no incumbents from the 10 Latin American countries on the continent have lost bids for re-election. If Latin countries in Central America and the Caribbean are included, only two incumbent presidents have lost recent re-election bids: Nicaragua’s Daniel Ortega in 1990 and the Dominican Republic’s Hipólito Mejía in 2004. Since 1980, incumbents in South America (not including Guyana, Suriname and French Guiana) have won all 17 presidential elections in which they were on the ballot. During the same period, four American presidents (Ronald Reagan, Bill Clinton, George W. Bush and Barack Obama) won re-election and two (Jimmy Carter and George H.W. Bush) were defeated. Students of South American politics cite a number of reasons for the success of incumbents. In many countries, such as Venezuela and Ecuador, presidents have enjoyed substantial control over the press, courts and other government institutions, making it harder for challengers to gain traction. Also, until recently, incumbents were helped by more than a decade of steady economic growth on the continent, fueled in part by high global demand for commodities – such as oil and copper – that are found in abundance through much of South America. One reason cited for the close race in Brazil is that growth in the country’s gross domestic product has slowed, from a recent high of 7.5% in 2010 to 1% in 2012 and 2.5% in 2013. Some South American nations have tried to combat the re-election of incumbents by imposing electoral limits on sitting presidents. Paraguay, for instance, allows its presidents to serve only one five-year term, while Chile, Peru and Uruguay bar consecutive presidential terms. Some other countries, including Brazil, Argentina and Colombia, limit presidents to two consecutive terms. As a result, the days of Latin American leaders ruling for decades have largely passed. There are, however, some exceptions: Venezuela’s Hugo Chavez was elected four times, dying in office in 2013 after having served 14 years as president. Bolivia’s Evo Morales recently won a third term after a court ruled he could run, despite a constitutional two-term limit. And, in Ecuador, Rafael Correa may run for a fourth term in 2017, pending a proposal that would allow indefinite re-election in that country.